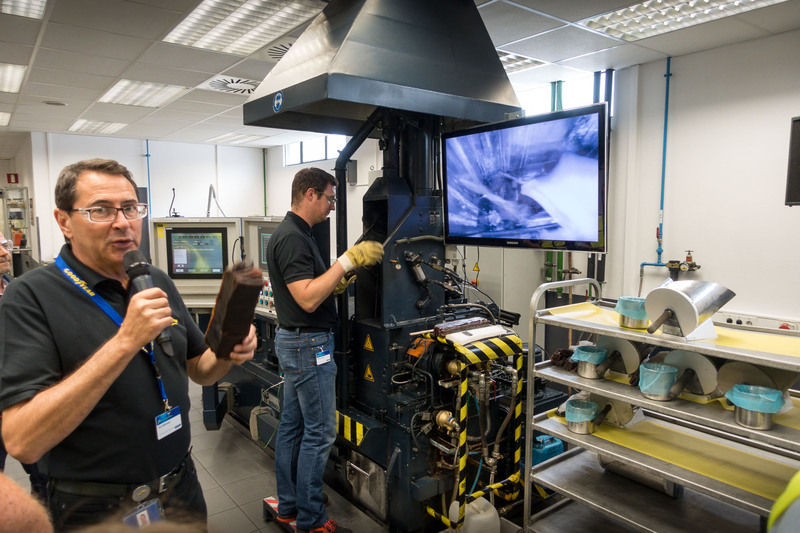 Do you ever wonder what work goes into creating some of the world’s most innovative tyres? What does it take to become one of the leaders in the tyre trade? I got the opportunity to take a look behind the scenes at the Goodyear Innovation Center in Luxembourg. 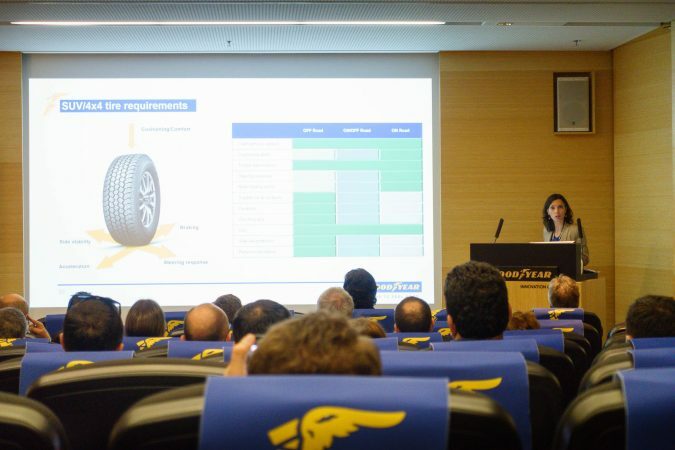 I was walked through the testing, materials and design process used for the tyres. En route to the Goodyear Innovation Center we drove past many other Goodyear buildings. 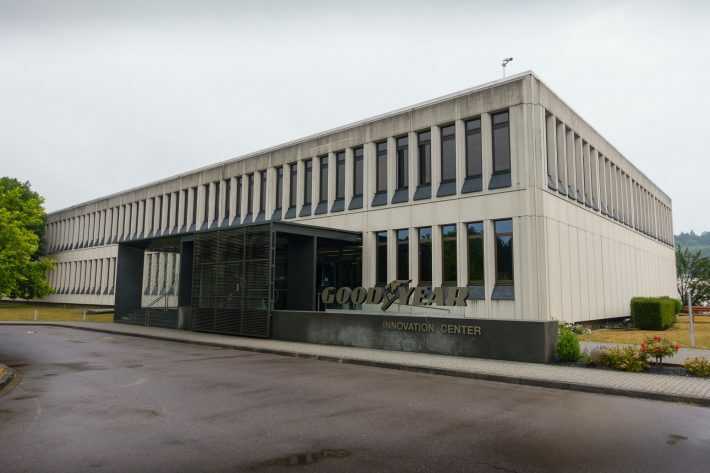 There’s certainly a lot of infrastructure based in Luxembourg from Goodyear. Once inside we were briefed on the state of the market. That included detailed breakdowns of the opportunities available for tyre development in the SUV market. Next, we were then introduced to the new Goodyear Wrangler All-Terrain Adventure tyre and given a breakdown into some of the features of the tyre. The Wrangler All-Terrain Adventure tyre has Kevlar components creating a reinforced layer in the tyre. This gives it additional strength to help resist punches and cuts during extreme offroading. The tyre also has Durawall technology that offers toughness to the side wall. So it’s a better option for getting off the beaten track. I was taken over to the tyre testing facility. 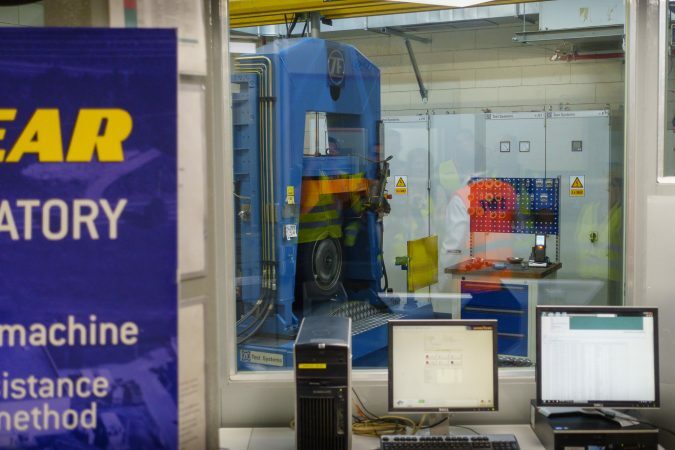 It’s remarkably and relieving to see just how seriously Goodyear take the tyre testing to maximise research and development. The facility is kitted out with lots of machines running 24 hours a day simulating millions of miles on the tyres. They are carrying out highly specific tests and accurately measuring the results of the process to be used in the development loop. Exactly what we want to be seeing. In the labs, they’re carrying out multiple tests. 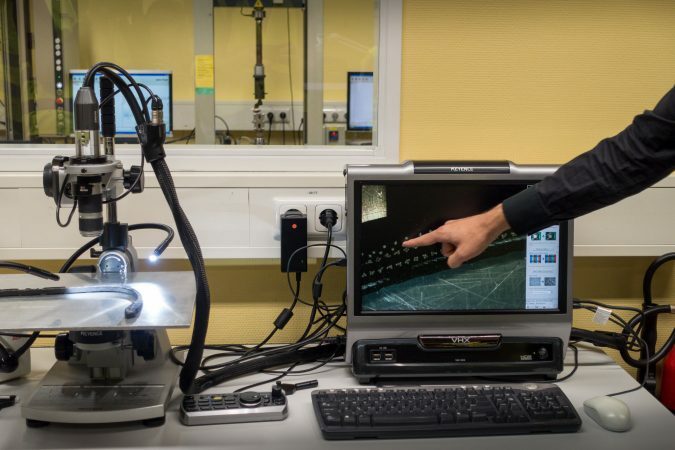 This could include consistent high-speed testing and typical road simulation testing. On the latest machines they are able to test using steering and braking inputs on the tyres. Let me tell you that this was a real eye opener to see first hand. It’s crystal clear how it really will help to develop the tyres improve in the future. Next, we were directed to one of the laboratories where the magic happens. It really is magic. Engineers explained to me all of the components that go into making a tyre. Do you think it’s solely rubber that makes a tyre? That’s nothing less than a myth. There’s not one, not two, not even three components involved. 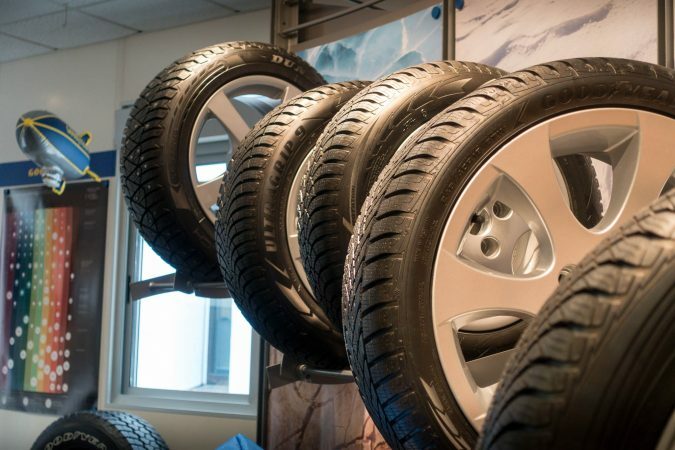 There can be around 25 different components and types of rubber that go in to making a tyre. Take a look at the picture above and you will see a range a of these components laid out on the table. 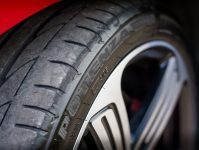 It’s a complex mix of metal, rubber and fibres that combine to create your typical tyre structure. In the new Wrangler All-Terrain Adventure tyre, they pointed out the Kevlar fibres that go into the tyres. They clearly demonstrated just how much more strength they can add to the tyre over the standard materials. It’s safe to say there’s some serious innovation going on in these labs. Next, we went into the mixing lap. Here, we spoke with the innovative engineers themselves. The ones who create the rubber mix to make the tyre as perfect as it can be. 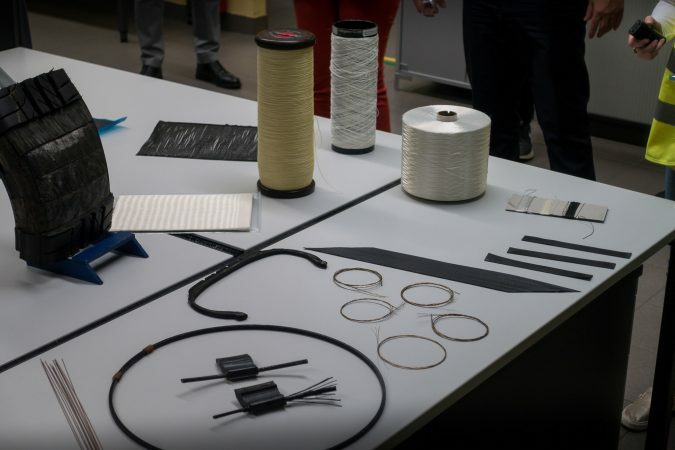 It’s shocking to see just how many different components go into making rubber. 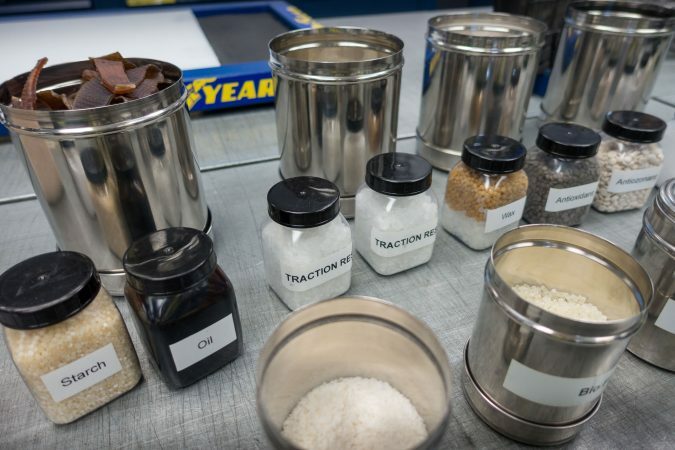 We were presented with over a dozen different substances that all work together to make the perfect mix for what Goodyear want to optimise in that tyre. The engineers very quickly mixed some of these materials together and showed how quickly they can test out different compounds. Once they had created this, they showed us some simple tricks for how they test for things like rolling resistance and weather suitability of the compound. Don’t underestimate how highly skilled this role is. It’s a job that requires strong understanding of how to both create and test the compounds to make the perfect tyre. But, of course, they make it look as easy as pie. I can see how this element of the business will be making big improvements to the products range above and beyond the competition over time. Finally, they showed us the design side of the business. There was a small team of four people who work on the complete tyre design. I realised it’s no wonder we have such strong and innovative tyres when I saw their abundance of demos from previous concept tyre designs. Incredible to see, really futuristic and real works of art. It was amazing to see that the designer’s primary focus was to work on paper first to getting ideas down. Only then do they move to the computers by scanning their designs in. This was one of the most innovative concept designs I have ever seen, it was done working with Lexus and incorporates the tyres and wheels as one. 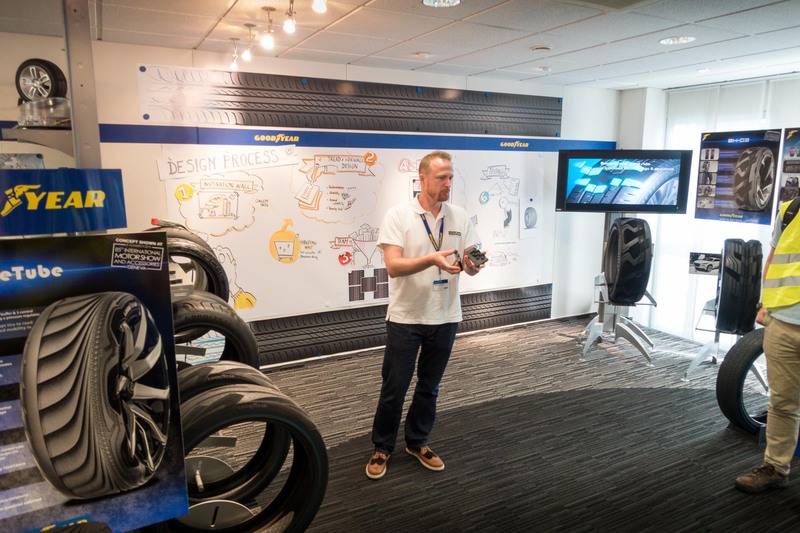 The Goodyear Innovation Center is one fully comprehensive facility. It is significantly investing in improving their products to really be first class. 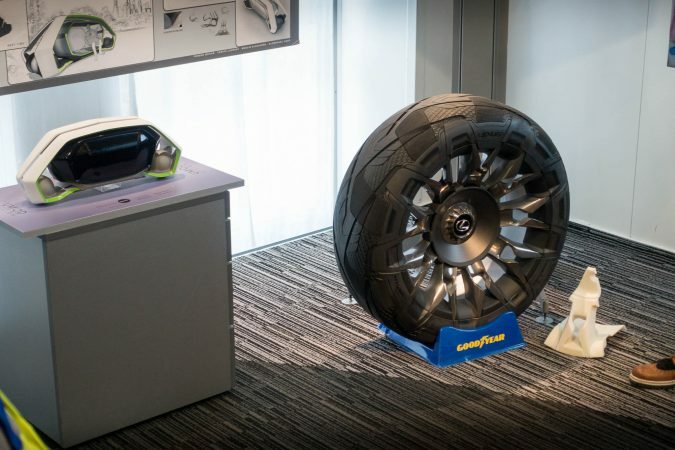 They have real prime examples demonstrating the possibilities for the future of tyre engineering. They’re shooting for the stars.